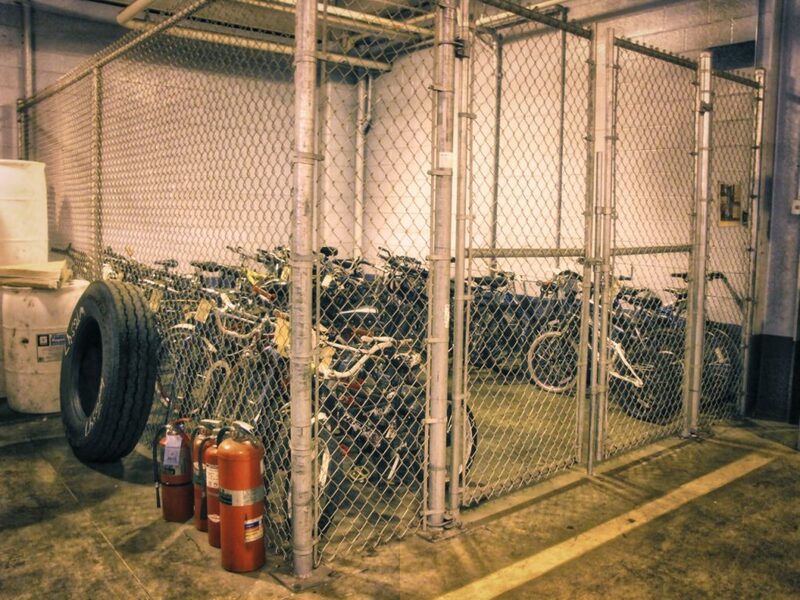 The bus system stores lost bicycles in a locked cage in the system’s Fleet Maintenance Center, 1525 W. Vine St. By policy, the transit system must hold forgotten bikes for at least 14 days. In practice, bicycles often remain in storage much longer, but every few months the storage area needs to be cleared to make room for new arrivals. The unclaimed bikes, 30 to 40 per year, are donated to a local non-profit. If you’ve forgotten your bike, call the system’s lost and found at (414) 937-3206 and give the route, location, date and time you lost your bike, as well as a description. It would be useful to have the serial number handy. 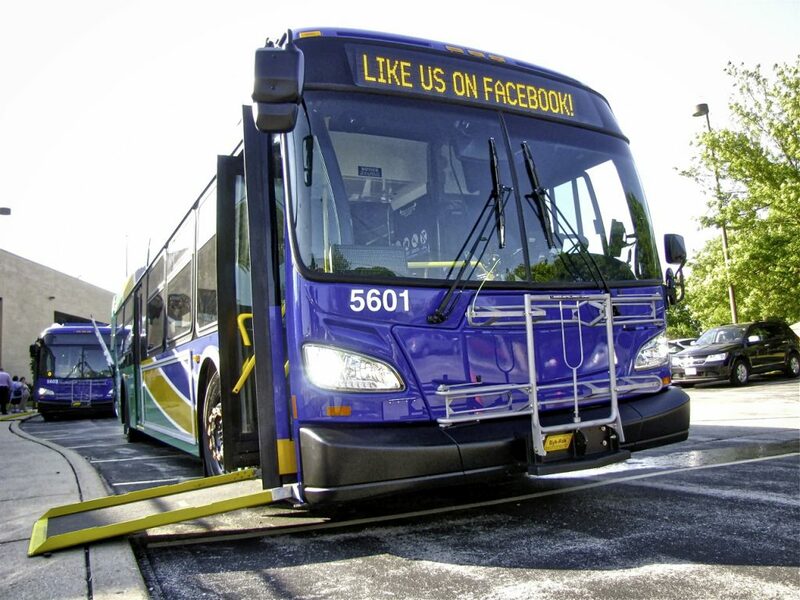 Don’t be shy – the bus system really, really wants to reunite you with your lost property. That’s amazing so many bikes go unclaimed. That’s like leaving your car in the restaurant parking lot and walking home. After the first mile, you’d think they’d suspect something’s up…. But there were also a handful of really nice adult rides in there. What’s up with that? And the majority of the owners are voters ? Regarding: “Buses, bikes, and forgetfulness”: Many of those bikes in the photo look like youth bikes. I suspect that many of those “forgotten bikes” could be bikes that were stolen for convenient transportation then left on the bus to get rid of a “hot” item when the culprit reached his destination. Calling the bus barn might be another important number to put on the list of places to search when a family discovers their child’s bike missing from their porch, yard or the playground. It is also a reason for parents to remind their child to lock their bike no matter whether they are at home or on an errand….even for a few minutes.